The Joint Scientific Committee for Phase 1 Clinical Trials (JSC) was established jointly by HKU, The Chinese University of Hong Kong (CUHK) and the Hospital Authority (HA) for supporting their institutional review board/research ethics committee in performing scientific evaluation of phase 1 clinical trials on new investigational drugs. It is governed jointly by the three organizations through a tripartite consortium namely the Consortium on Harmonization of Institutional Requirements for Clinical Research (CHAIR), and operates in accordance with the JSC’s SOP. Its mission is protecting the safety of study participants and ensuring the scientific validity of phase 1 clinical trials through rigorous scientific evaluation of the properties of new investigational drugs, trial designs, pre-clinical data and initial human data. 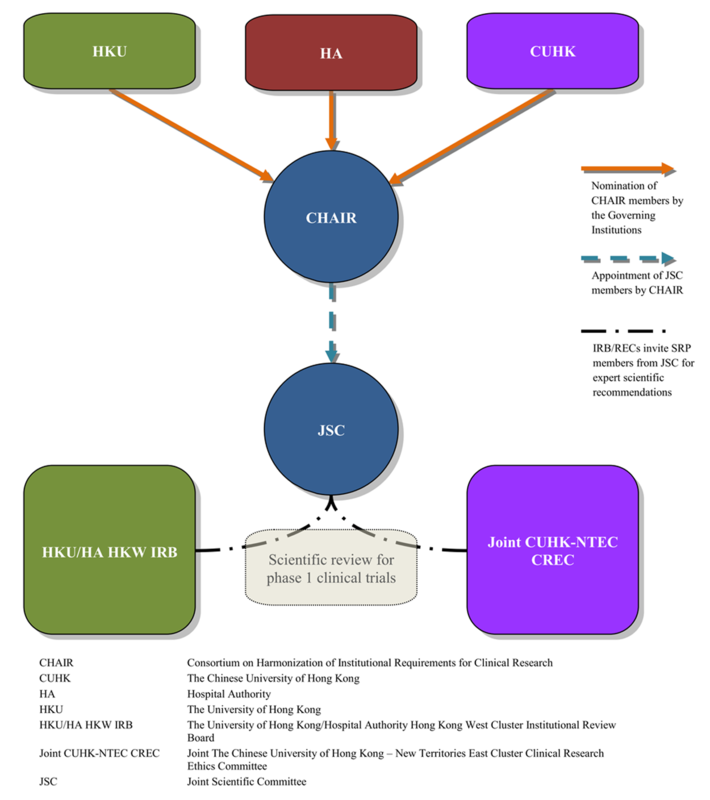 For instance, for a phase 1 trial application submitted to HKU/HA HKW IRB for review, its Phase 1 Panel will invite three members of the JSC as scientific reviewers to perform scientific evaluation of the trial based on the SOP of the JSC and Guideline on Ethics Oversight and Scientific Evaluation of Phase 1 Clinical Trials. The Phase 1 Panel will then consider the scientific opinions from the scientific reviewers and make a decision or give opinions on the application.